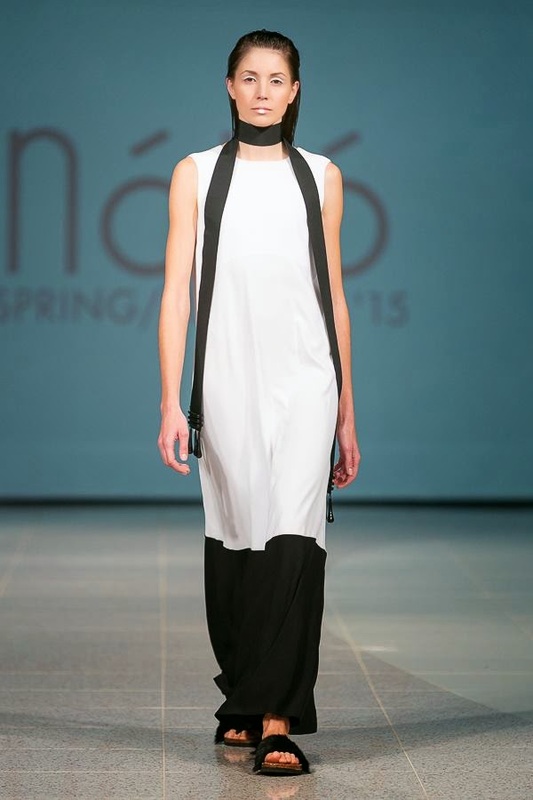 Fashion show of Latvian brand NOLO closed the third day of Riga Fashion Week. Fresh, bold, simple. 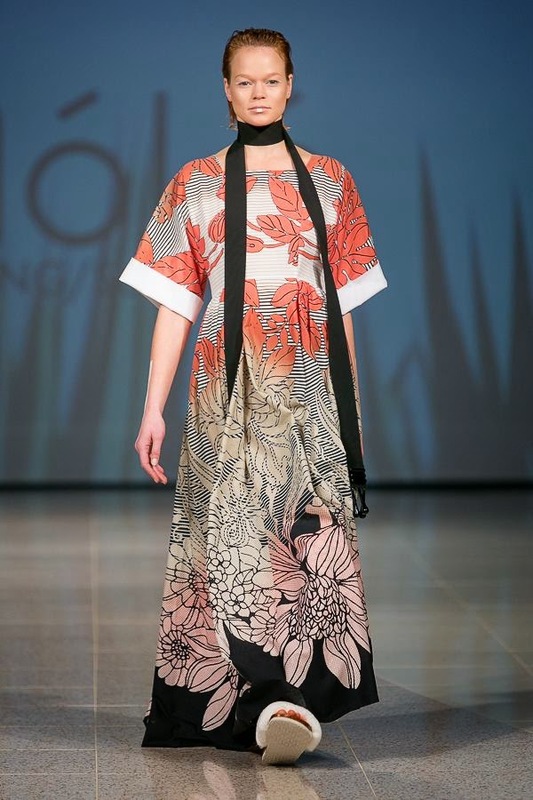 Won't hide, NOLO was a discovery for me in term of Riga Fashion Week. Of course I was aware that there is such a brand in my country. However, have never really paid attention to it, and I'll tell you it was a mistake. 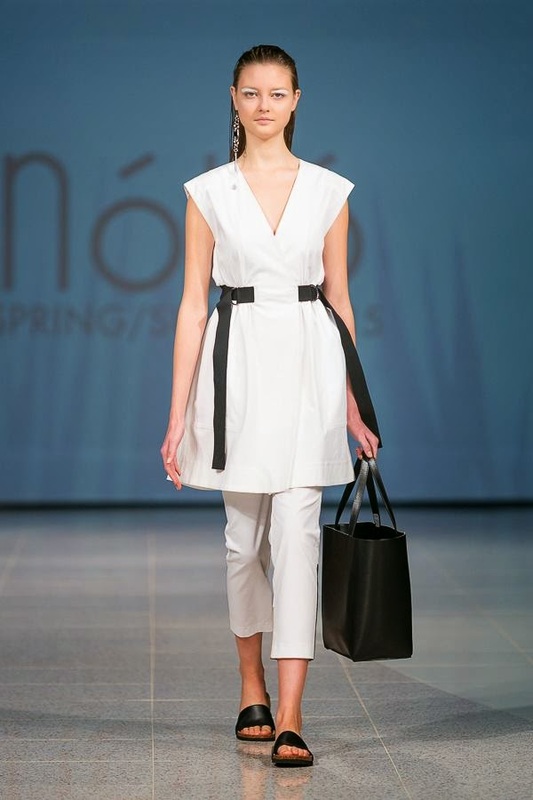 NOLO significantly differs from other Latvian designer brands. The brand itself divided its collection into two themes: city and nature-weekend. Each of them was divided into three, lets say, sub-themes. So in urban versions you can see white and grey color combinations (In White), soft pastel shades (Pastel Seduction), as well as brights, electric, colors and geo prints (Electric Vibes), while in nature-weekend one you can find beige-grey tones mixed with bright red and indigo colors (Snake Charmer), variations of green with prints in flora and fauna style (Terra Incognita) and, of course, blue color, that was used in denim fabric (Blue Mist). 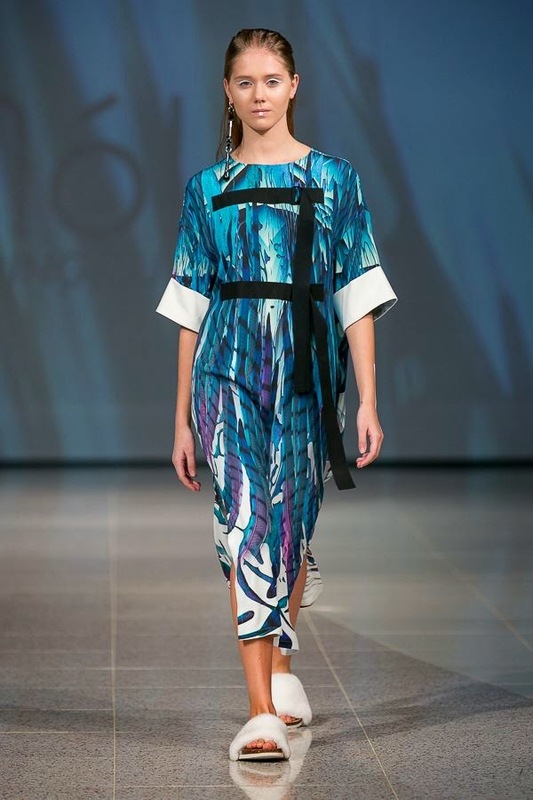 This was probably the most diverse collection that was shown at Riga Fashion Week. What I liked from the very first minutes of the show, was the simplicity and ease of all presented pieces. 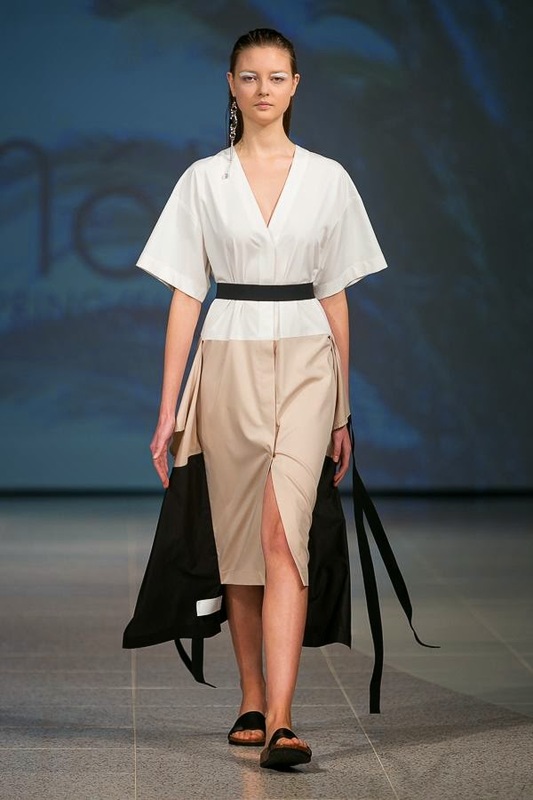 Some pieces are complemented with interesting details, like metallic finishings a la foil or feathers on the pockets, while other pieces found interesting design solutions, like asymmetrical skirt of the dress or super maxi top with cuts on both sides. It is so outside the box, but still restrained and familiar.